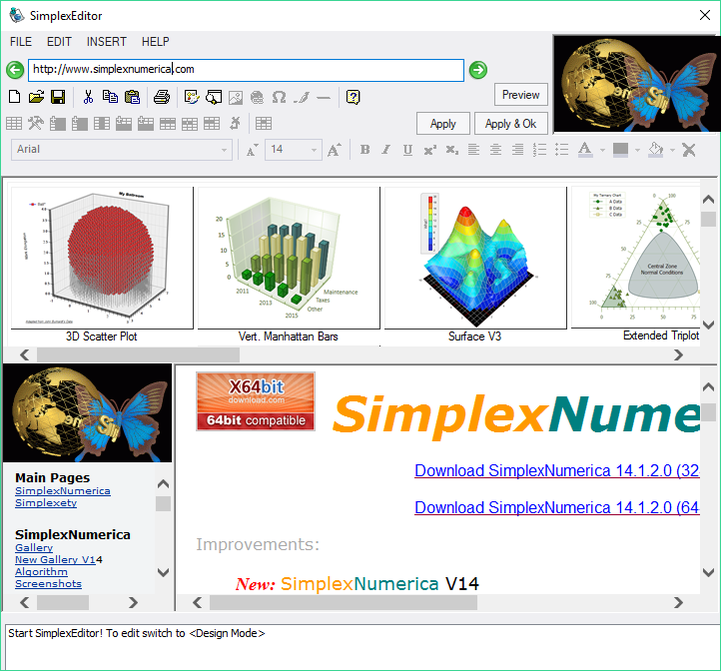 Simplex Editor - simplexnumericas Webseite! 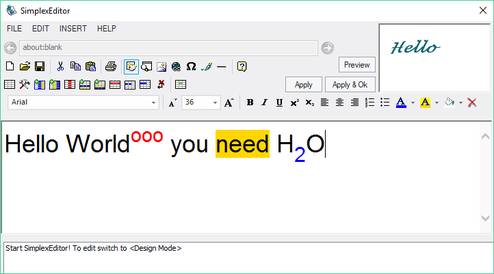 SimplexEditor can be used inside SimplexNumerica to edit webpages or better looking text labels. The app can also run as a separate Windows application (without SimplexNumerica). Then it can be used for your own HTML material. You can download SimplexNumerica, install it, and then the SimplexEditor icon is on the desktop.